Before I began high school, my parents made a decision that completely changed my life. They relocated our family from New England to rural Georgia — a move that introduced me to chicken biscuits, the regionally ubiquitous phrase “y’all,” and my first experience with major depression. Living in Bible Belt America was an extreme form of culture shock for someone who grew up in liberal New England. My new classmates went to church on Wednesdays and Sundays, believed there was a war on Christmas, and disagreed with the welfare system though they also came from low-income households. I, on the other hand, was a brown girl with a weird foreign name and loudly Middle Eastern facial features. Somehow, I stuck out like a sore thumb and was invisible at the same time. I was intensely focused on school work in a school system where neither the students nor the teachers cared. I struggled to make friends. Eventually, I started speaking less and less — the sheer act of being brown in a starkly white evangelical environment that didn’t understand me began to take its toll. At 14 years old, I found myself wondering what the point of living was at all. My depression stemmed from feeling a loss of control over my life, forgetting my sense of self, and feeling hopeless about my circumstances. My depression reminded me that I would never be able to change my environment, and my environment would not change for me. Though my depression has been a recurring, long-term struggle, and high school was never a great time in my life, it did get a little better. One day, a beautiful girl in my home economics class pulled out a bag of makeup and asked if she could give me a makeover. No, I am not describing the plot of a bad teen movie. A girl in my class (a popular cheerleader, to be as exact and cliche as possible) pulled out her makeup bag and offered to apply its contents to my face. I sat before her patiently while she went to work, and some of the other girls in the class pulled up chairs around us and watched. She powdered my cheeks with a blush that I was sure would look terrible, and coated my eyelashes with generous layers of mascara. Another girl pulled a hair straightener out of her backpack and flat ironed my hair to complete the package. A third girl watched the progress and interjected with “You look really good” every now and then. I was nervous. The final reveal left me ecstatic. 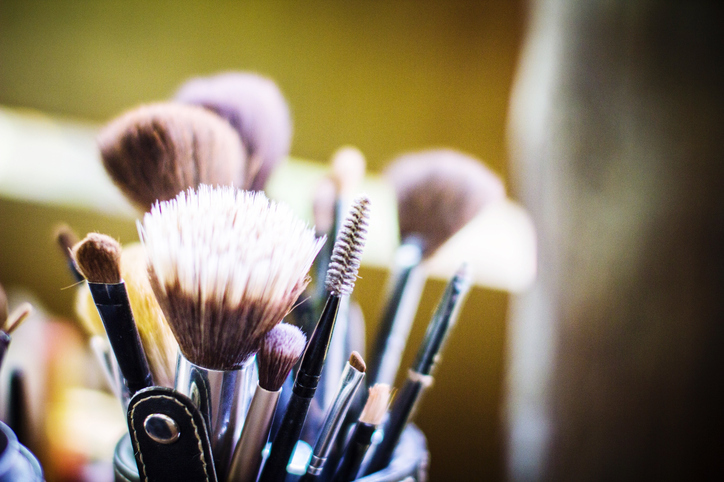 I had never worn makeup before, and I could barely recognize the person looking back at me in the mirror. Her cheeks were noticeable, her eyes popped, her skin was smooth — I felt like nothing short of a model. I can’t remember anything about the makeup that I wore that day, but 11 years later, I still remember how amazing I felt. It was the first time I had felt happy in so long. Shortly thereafter, I launched a campaign targeted at my mom, Operation: Please Let Me Wear Makeup. I diligently made a list of the types of makeup products that I needed and where I could find them for the cheapest price. I had discovered a new high, a newfound sense of control. I still couldn’t change my environment. I still had four years left of feeling too brown, too different. But now I had a sense of control over my presentation — it gave me the strength to get out of bed in the morning, and the confidence to take up more space. Makeup existed as a coping mechanism, a form of artistic expression, a morale booster, and a powerful armor that helped me face the world when I was not at my best. But society does not allow women to partake in anything without also burdening them with positive or negative connotations they didn’t sign up for. Almost a decade after my first introduction to makeup, I was 23 years old and living in Baltimore. I had recently quit a toxic, unfulfilling job that caused me to wake up every morning full of fear and dread. I had no idea what my next step was. A coldly familiar depression fled back into my life in the wake of this confusion, so I defensively procured my old motivational tools. One morning, I decided that even though I had nowhere to go, I would put on makeup. This single decision motivated me to get out of bed, make some coffee, and send out resumes that day. Slowly, a bit of hopefulness about the future crept back into my soul. Later that day, my roommates sat down in the living room with me. One of them noticed my face — the mascara, the blush, the eyeliner — and began talking about makeup. I jumped in eager to talk about how makeup made me feel good, how it helped me when I was low — but I was quickly shut down with familiar, regurgitated statements about female appearance and vanity. I have heard these phrases so many times: girls need to put down the lipstick and pick up a stethoscope, you have to care more about the inside than the outside, you just have to love yourself. These platitudes sound so harmless. They even sound encouraging and empowering if you don’t listen too closely. But in reality, there is nothing radical or interesting about trivializing femininity. It is a tale as old as time. A woman can only care about her appearance in lieu of more important things, like her intelligence or personality. But I’ve never applied lipstick because it was the biggest priority in my life — only because it made me feel good. And I am invested in things that make me feel good, and allow me to continue living and creating. 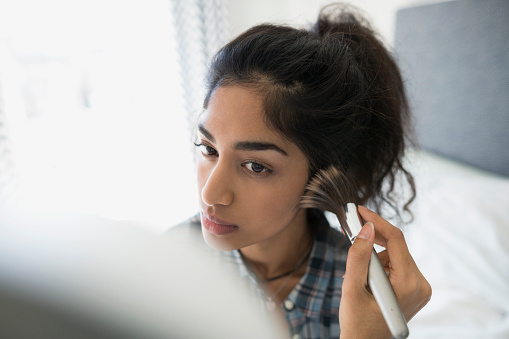 I often find myself bristling whenever I hear messages that deride the use of makeup, because it has been one of the most accessible and harmless coping mechanisms of my life. Makeup didn’t cure my depression and it didn’t save me from racism — but it did give me the power to be the version of myself I wanted to be. I want to live in a world where someone sees one woman with a bare face, and another woman glammed up for the gods, and thinks, “That’s just the version of themselves they chose to be that day.” That’s the version of themselves they needed to be so they could get up and go about living. I want to live in a world where women are allowed to contain multitudes within them. Until then, I’ll keep a pen in one hand, and occasionally a makeup brush in the other, and try the best that I can. Suz Aminah is a freelance writer and social video creator. Follow her on Twitter: @suzaminah.